Whenever you hear the word ‘marketing automation’, you wonder whether robots are going to take over SEO. Will you be informed that all your marketing positions occupied by human beings are being soon replaced by robots? No, you’ve got it wrong. Marketing automation isn’t about allowing some AI take over all your marketing tasks. While you may think that you can achieve success by triggering a click and firing off hundreds of mails through a market automation tool, marketers can actually find success when they know their audience and tailor mails to meet the requirements of their specific audience. What steps can you take to make your marketing efforts look less robotic? Here are some steps to take. Your campaigns as just as good as your list and therefore you should make sure you don’t buy lists. Try your best to generate your own list of qualified leads and keep on changing it in order to fight against database decay. When you initially sit to think about the possible ways to segment your nurturing campaigns, keep them easy. In case you’re just getting started, keep it simple and this is one of the biggest advices coming from the experts. With time, you will understand what is working and what is not working. If you start with too much structure in the very beginning, you will tend to invest in the wrong places. It all started with email but now you know that your customers are also interacting with you through all sorts of other channels as well. Therefore if you can find a market automation system which develops a marketing strategy which serves relevant content and spreads it through all channels which your customers use, that would be a better option. Marketing automation is best done when you include that human touch. You have to predict the needs of your audience during their journey and offer them the exact information at the perfect time and in the perfect context. Just focus on one journey. Therefore, if you’re eager to make your marketing automation efforts look less robotic, you need to take into account the above mentioned tips and advices. 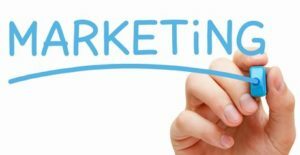 If you want to know more on marketing, read these tips.